This comforting quinoa and cheese soup is a variation of the locro potato soup that I grew up eating in Ecuador. It is made with quinoa, potatoes, cheese, milk, onions, garlic, tomato, cumin, oregano, achiote, and topped with cilantro and avocado. Soup is the answer to all problems, at least that’s the way it seemed when I was growing up in Ecuador: you’re not feeling too well? Eat your soup. You want to get bigger, taller, skinnier, smarter, etc? Eat your soup. You want dessert? Eat your soup. You want to go outside and play? Eat your soup. You would think I would have ended up hating soups, but I actually really enjoy a good bowl of soup. It’s one of those things that I crave when I’m feeling sick and wish my mom lived next door –instead of 4,500 miles away –so that she could make me some homemade soup. 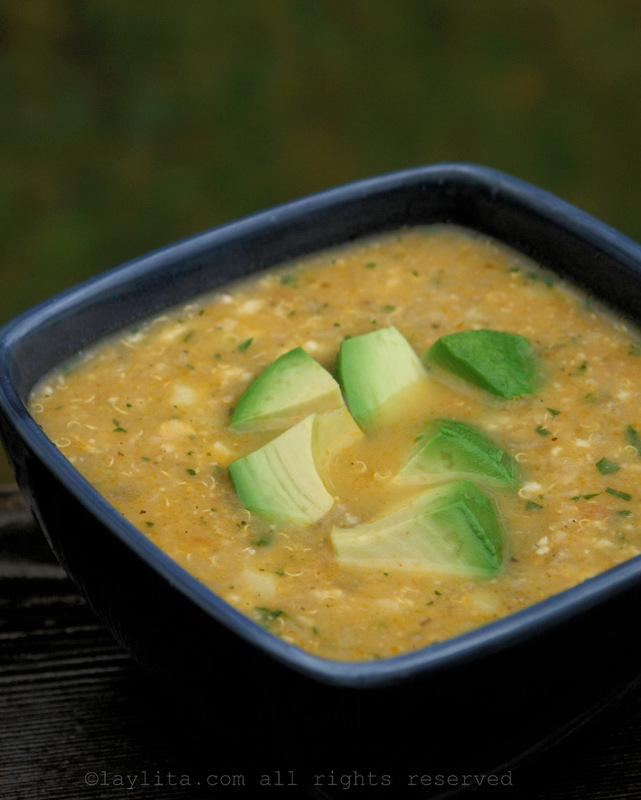 Quinoa and cheese soup recipe made with quinoa, potatoes, cheese, milk, onions, garlic, tomato, cumin, oregano, achiote, and topped with cilantro and avocado. Heat the oil over medium heat in a large saucepan or soup pot. Add the onions, garlic, tomato, cumin, achiote, oregano, salt and pepper. Mix well and cook until the onions are soft, about 5-8 minutes. Add the chopped potatoes; mix them in until coated with onions and spices. Continue to cook them for about 5 minutes, stirring occasionally. Add the water or broth, bring to a boil. Add the uncooked quinoa, reduce the temperature and simmer until the quinoa and potatoes are tender, about 25 minutes. Stir occasionally. For a creamier and thicker consistency you can use a a masher or wooden spoon to crush/mash some of the potatoes. Add the milk and cheese, stir and cook for another 5 minutes. Remove from the heat. Add the chopped cilantro or parsley, taste and add additional salt/pepper if needed. 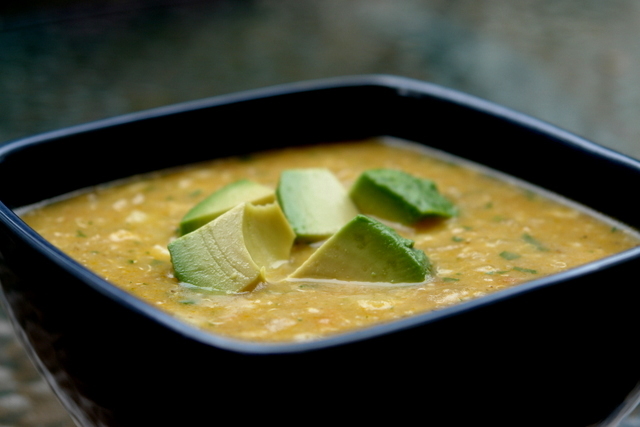 Serve the quinoa and cheese soup with diced or sliced avocado and hot sauce to taste. The first step to making a good soup is the refrito, also known as sofrito, which is the base of the soup, it consists of heating oil or butter –or sometimes lard – and adding onions, garlic, tomatoes. Other veggies like peppers or celery can also be added depending on the soup. Then you add the spices and seasonings you will use for the soup. 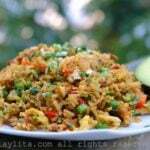 I usually add ground cumin and achiote or annatto powder to my refrito. For this quinoa and cheese soup I also added some dry oregano. This soup has quinoa – which is nutritious and all of that good stuff, but what I like about quinoa in soups is the texture, I love the way the little seeds pop in your mouth. 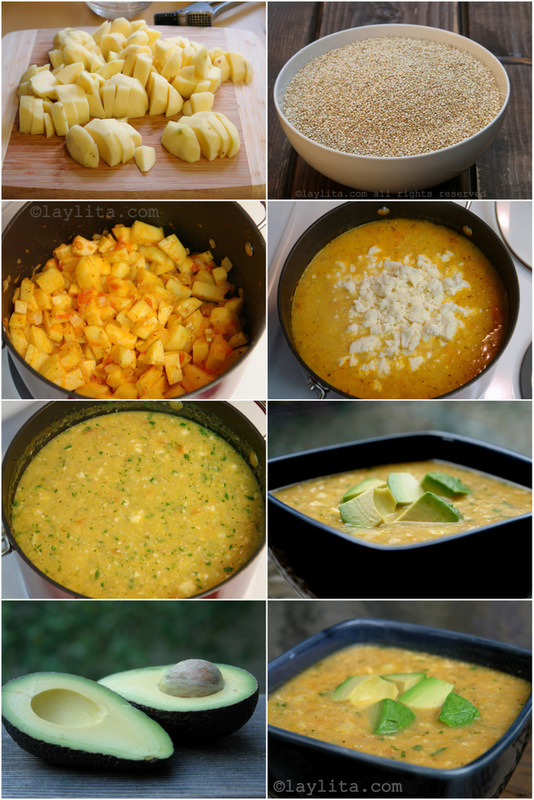 The potatoes, cheese and cilantro are what give it that delicious taste that reminds me of the locro de papas soup. Whenever I make a soup that has potatoes in it, I like to add the potatoes to the refrito and let them cook for just a few minutes so that they get just a little bit browned and then add the water or broth. I used queso fresco, which is fresh Latin American cheese that you can find in most supermarkets, but you can also use feta cheese instead, feta is a little bit more salty so adjust the salt according to your preference. Like many other Ecuadorian soups I served this one with some diced avocado and hot sauce on the side. Hi there, what type of potatoes should be used for this soup? Russet or small red ones? Hi Sandra – I usually use Yukon gold potatoes or red potatoes. I love this soup, it is healthy and very easy to make. My toddler loved it! Thanks for the great recipe. I have used it a number of times and really enjoyed it, but I never printed it out. I’ve tried to access the site of The Cooking Adventures of Chef Paz recently to make the recipe, but it looks like the site is down. Would you be willing to post the whole recipe here, please? Thanks! Laylita, this Sopa de Quinoa recipe is not showing up on your site; can you please post? I just wanted to say that your recipes are excellent, Im from Ecuador and am living in the States. I came here to study and really missed my moms food. “Sopita de Quinoa” had craved it for days found your recipe and it is amazing. After trying a quinoa soup in Peru some years ago, I have been looking for something similar for a while now. This soup was delicious, healthy and hearty, and gave about 20 servings. Even my husband loved it, and he is not into soups. Thank you once again! Ya he hecho esta sopa con tu receta y es exquisita!… realmente deliciosa, me encanta el detalle de poner aguacate. No se me habia ocurrido mas que en el locro… excelente idea..
Quisiera hacerla otra vez, antes tenias un link hacia donde estaba la receta detallada y ahora no lo puedo ver. 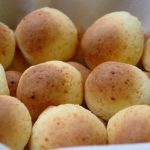 Crees que lo puedes volver a poner o tal vez enviarme la receta directamente? Fabulous recipe! Just starting solids for my baby – left out the cheese and milk and he loved it. I loved it too! I have tried this recipe several times and my two year old LOVES IT!!!! This soup is AWESOME! I made it for my friend who just had a baby. She liked it so much that she said she was going to hide it so no one else in her house would eat it. I took a little home and I’m going to eat it for breakfast. Thank you! I wanted to let you know that I made this soup for my Holiday Party. It was fantastic! everyone loved the soup. Quinoa is one of the ingredients that my mom used a lot and still does. Thanks again for sharing the recipe. I can’t wait to be better and back in the kitchen. This soup is on my list of recipes to try. Thanks again for being a guest blogger on my site. Hi Paz- It was fun, thanks for having me! This is a beautiful soup! This looks divine! Thanks for posting it. I popped over to Paz’s to read the recipe and decided this is what is going to be for dinner tonight; even if it is edging on 100 degrees here in Texas. My husband and I have come to love quinoa and use it instead of rice in most cases, great to find another recipe to use it in. That looks wonderful once it cools below triple digits I will make this.